More than 250 students from Catholic schools across the Board competed for top honours at the 12th annual Ontario Mathematics Olympics during three days of competition at the Catholic Education Centre in April. Problem solving was the focus of the day. Students exercised creative thinking and exploration using hands-on materials. In some events, students competed in mixed grade pairs; while in other events they competed as a team of four. Schools in all four regions of the board ­– Peterborough, Northumberland, Clarington, and the City of Kawartha Lakes – sent teams of four students to compete for the championship in each division (Grade 3&4, Grade 5&6 and Grade 7&8). The event consisted of four events that span all five strands of mathematics: number sense, patterning and algebra, geometry, data management and measurement. 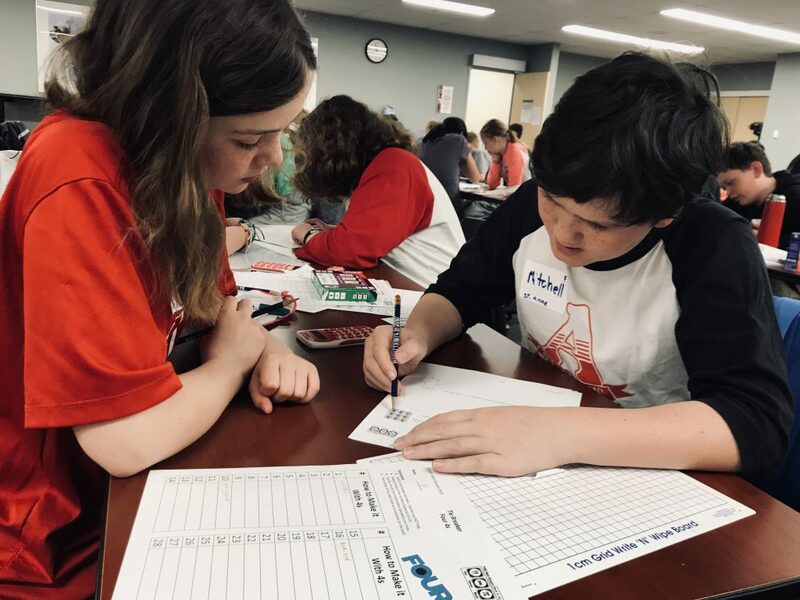 “The Math Olympics gives students the opportunity to showcase their mathematical thinking while spending the day engaged in collaborative problem solving,” said student achievement consultant Sandra Connolly.